Another one of our essential pantry items for a quick no nonsense appetizer. 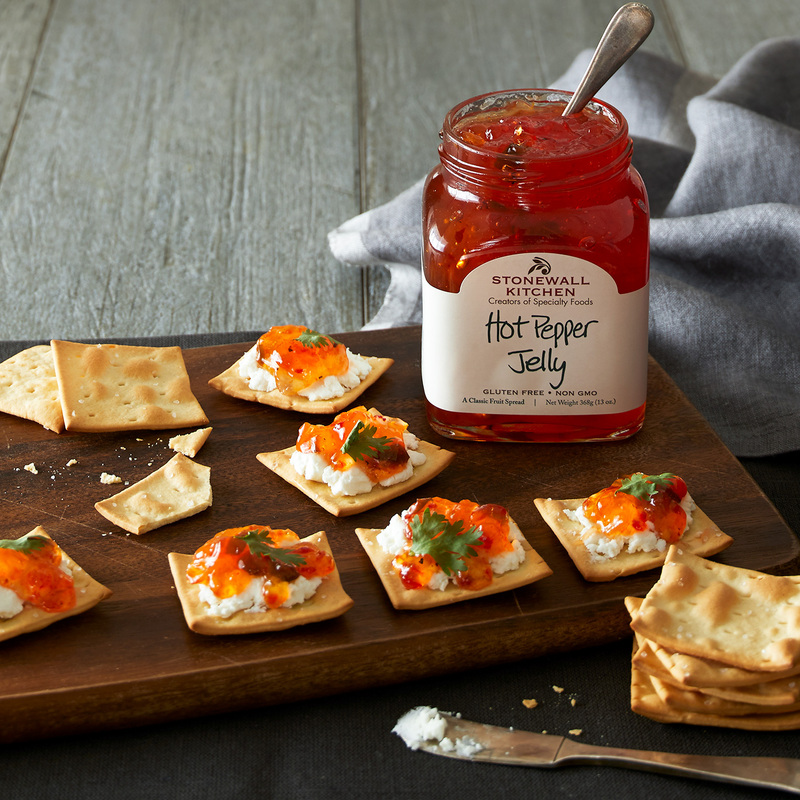 Hot peppers add a kick of heat for a sweet and savory combination in our robust Hot Pepper Jelly. Also adds great flavor to Asian dishes, pan sauces and stir fry. 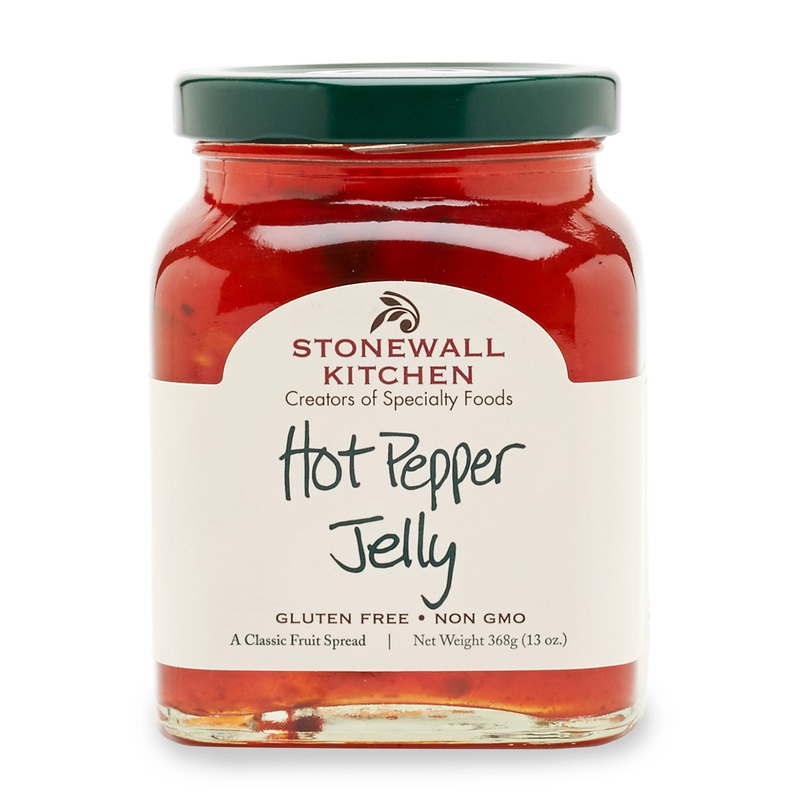 Serve Hot Pepper Jelly with select cheeses and slices of crusty French bread or add a tablespoon or two of Hot Pepper Jelly to pan juices to create an easy and delicious sauce for chicken or pork. Pure Cane Sugar, Onion, Water, Red Bell Pepper, Jalapeno Pepper, White Vinegar, Pectin, Citric Acid, Hot Sauce (aged cayenne red peppers, vinegar, salt, natural flavor, garlic), Spices.